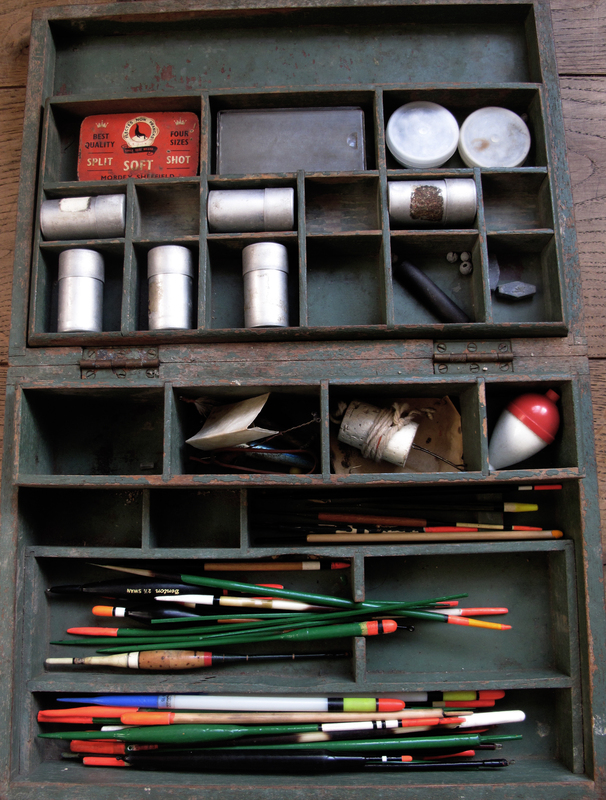 A film about Paul Cook – artist and traditional tackle maker. Thursday I found myself driving to South Wales with fellow photographer, angler and friend, Nick Moore to cover the stills for an advertising campaign. We were staying at the famous Gliffaes County Hotel that sits on a rocky outcrop in the Usk valley. The hotel is very much of the arts and crafts Edwardian style, and mainly caters for the brown trout, sewin and salmon fisher. As anglers we were both quite frustrated by the prospect of staying at this hotel in earshot of the river Usk, unable to fish, only to work! Ever an optimist I packed a spinning rod, reel and waders hoping that I could grab an hour before or after dinner and winkle out a salmon. The previous day I was talking to John Andrews of Acadia about our predicament and his reply was ‘do yourself a favour and drop into Sweets of Usk…’ I had heard of this old style tackle shop but had never been there so during our drive up to Wales I mentioned this to Nick and the possibility of a detour to visit the tackle shop, after a short conversation a decision was made and we took the turning to the town of Usk. On arrival we found a tiny wooden-clad shop front with the glass panelled door covered in various notes and signs obscuring what was hidden within, to be honest we thought the shop was closed. On close inspection I could see the smiling face of a well dressed lady who was reaching for the locked door, before long we had entered into another world. When we first stepped inside Sweets we were overwhelmed at the sheer array of things to look at, there were trays of hand-tied flies, old books, stacked boxes, photographs old and new, wooden carved salmon, tweed jackets, bags, cane and carbon rods, we were struggling to know what was for sale and what items were on display for sentimental reasons. The air smelt of wax and old books, the sun had just come out and shafts of light shone through the gaps in the glass illuminating the shop in dappled light, the atmosphere was thick and there stood behind the wooden counter our host with her infectious laugh and sweet smile. Nick and myself were actually quite dumb struck like a couple of school boys, but we were soon put at ease with Mrs Williams offer of tea and stories that were attached to every object that we pointed out. We felt that we had entered someones front room for the first time and with that in mind turned down the offer of tea for we felt that we were intruding. Instead we turned our attention back to the shop, its history and the content. I spotted a delicate looking cane trout rod that turned out to be a Harry Powell rod who originally opened the shop in the 1930’s and was told that “Harry’s rod would never be sold, it is far too special.” Mrs Williams told us about Lionel Sweet who took over the shop from Harry Powell and of his legendary fly casting skills (in 1953 he became the Casting Champion of Europe which he held for twenty years) while his wife Molly hand-tied the flies in the shop. In the early 1960’s Mrs Williams started work in the shop after her parents were looking to find her some temporary work, then in the 1970’s she took over the shop with her now husband, Mike. Over forty years on Mrs Williams, the Usk Butterfly continues to offer her time and hospitality that is warm and genuine, in truth we felt after an hour that we should leave but I think she enjoyed our visit as much as we were. The shop is very much orientated to fishing the Usk which is literally a stones throw from the shop. I spotted a cupboard of boxes with labels from bygone Redditch tackle firms, stacked in a higgledy-piggledy manner. From this cupboard Mrs Williams showed me some of the contents including some floats, “I have a few floats for the boys in the village, you have to get them started somehow,” it was almost as if this was a rite of passage, from float to fly. By five o’clock we had to leave, we could have stayed longer as I know that Mrs Williams had many more stories to share, time was not an issue in this shop, it looked like it had stopped many decades ago, but we had to move on and step back into 2014. A meeting had been laid on for us to discuss the photo-shoot that was to take place on the following day, the contrast was quite extreme. In hindsight there is a slight sadness about this shop as you realise it won’t be around forever. When Mrs Williams locks the door for the final time I can’t see this business being passed on or sold as it stands, the vintage tackle dealers and auction houses may buy up the contents and the shop will be lost. The stock is probably worth very little but some of the historic photographs and wood carving are worth considerably more, but as a collection under one roof it is priceless. On a historical and social level Sweets is a very rare place to discover. For now it still stands as a business supplying the Usk fishermen with flies, spinners and line, it is a very honest place and certainly not a parody or museum. For anyone who remembers fishing tackle shops that precede the 1980’s when the owners were normally a husband and wife duo, this is a place you have to visit and spend a few pounds. Sweets is a tackle shop that survives where many others were lost to Angling Centres with departments run by ‘experts’. My experience in Sweets reminded me how far we have come as a country over the last thirty years, we seem to be in a big hurry. Sweets is a real lesson in customer care and understated knowledge, an antidote to modern shopping. This little tackle shop is in no rush, run by a lady who has time for anyone who steps through the door, I’m just looking to find an excuse to go back soon, this time though I will accept the offer of “a nice cup of tea with welsh water” as Mrs William would like to say. Back in 1990’s (I think) the close season was lifted on still-waters and at first I was defiant as the magic of the sixteenth was to be savoured. I stayed pretty much to my guns on this until about four or five years ago when I asked myself, why? I’m led to believe the close season was put in place to keep the ‘oiks’ off the decent trout rivers rather than some romantic idea that it was an ecological move to protect spawning fish and worn out flora on the waterside. British species of fish spawn at different times, pike can start in late January and carp seem to go on into late July, the current close season is only a half hearted opportunity to protect many of these species. Most rivers these days are deserted all year round and more popular places like weirs have built platforms, worn banks are not generally that common these days. Rivers really are not pressured waters unlike many commercials and stillwaters. Perhaps we have the closed season the wrong way around, close the still-waters and open the rivers? Redmire is a good example of how I think a well managed still-water should be run, as the water is closed for the traditional three months. Redmire is a pressured water with four angler on its three acres all year bar the close season, this makes sense to rest the carp although I would consider extending the rest period from the end of March to the end of June which would cover more of the spawning activity and still give the flora the same period of rest. 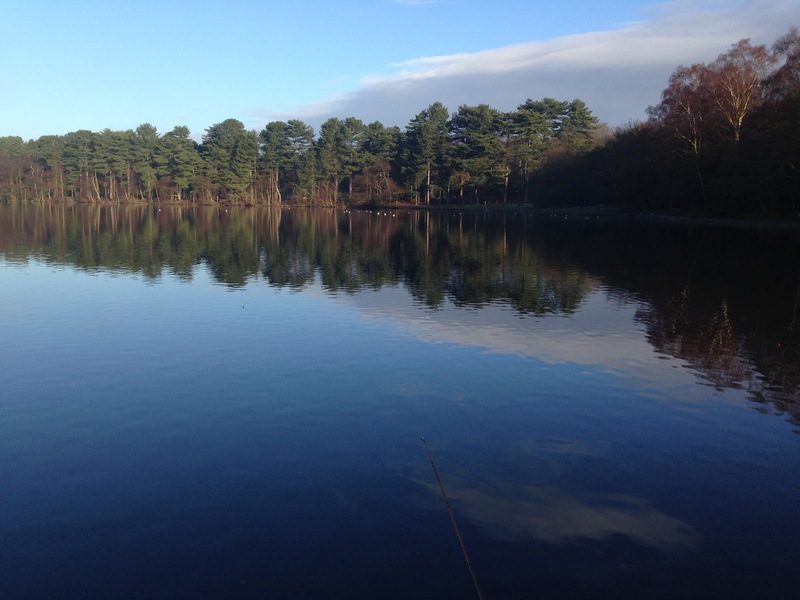 On my own syndicate water in Sussex there are three lakes and I very rarely see more than four anglers on any given day and there must be over ten acres of water. Because of the low pressure, the syndicate allows fishing all year but ask any anglers fishing for carp to keep away if spawning begins. Commercials are probably the waters that really would benefit from a rest but money speaks louder than fish welfare in modern angling, thankfully I’m not one to fish these high-pressured waters. So where does this leave me personally? I now find the spring the most exciting time to be fishing for carp and tench and when the fish spawn I simply pack away the rods for a few days and enjoy the spectacle for what it is. Most of my fishing is not that easy, lakes with low stocking, just quality fish and rivers with a natural and balanced eco- system. Pre-baiting the canals as the water starts to warm in search of carp is now part of my annual angling calendar, I started doing this two years ago resulting in two lost monsters, I now have unfinished business and spring time is my prime opportunity to locate the feeding carp. 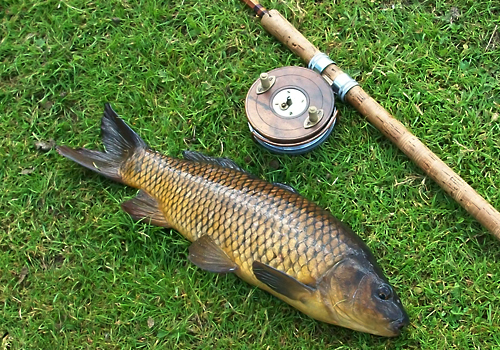 I understand those who follow the traditional route and pack away their rods for three months, lets face it, this can be a good rest bite for the mental state of any obsessional angler and those jobs on the house don’t do themselves. Personally I find my precious fishing time throughout the year requires those extra three months, it takes some pressure off the months when one can fish especially after the last winter with two lost months due to flooding. As for the romantics, the sixteenth will always be a special day and more so if one observes the close season. I shall be fishing throughout the spring but I am a bit of a romantic myself so I shall be on the river at dawn on the first day of the season. An opportunity for a Boxing day pike. 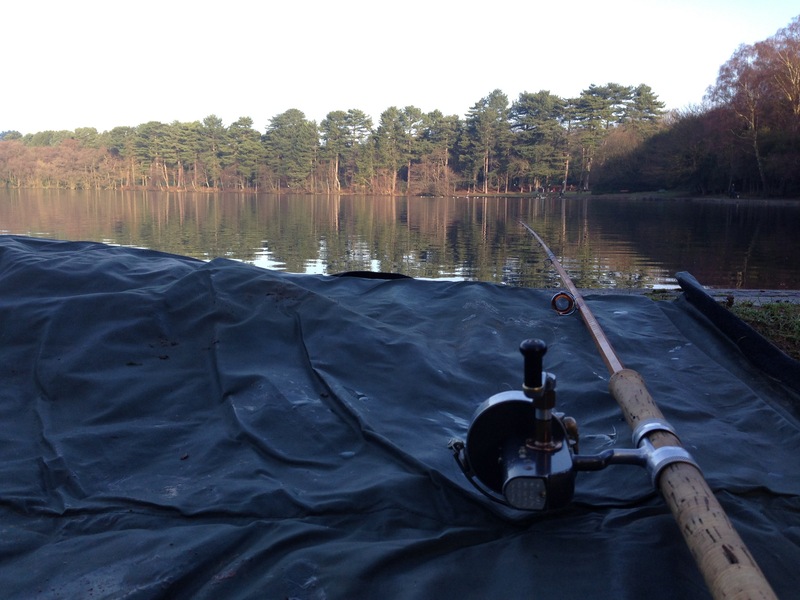 For the traditionalist angler a pike on Boxing day is a nice way to end the years fishing. This year I was in Sutton Coldfield so a good choice of venue for a pike was the rather sinister sounding water of Blackroot set in the grounds of Sutton Park. 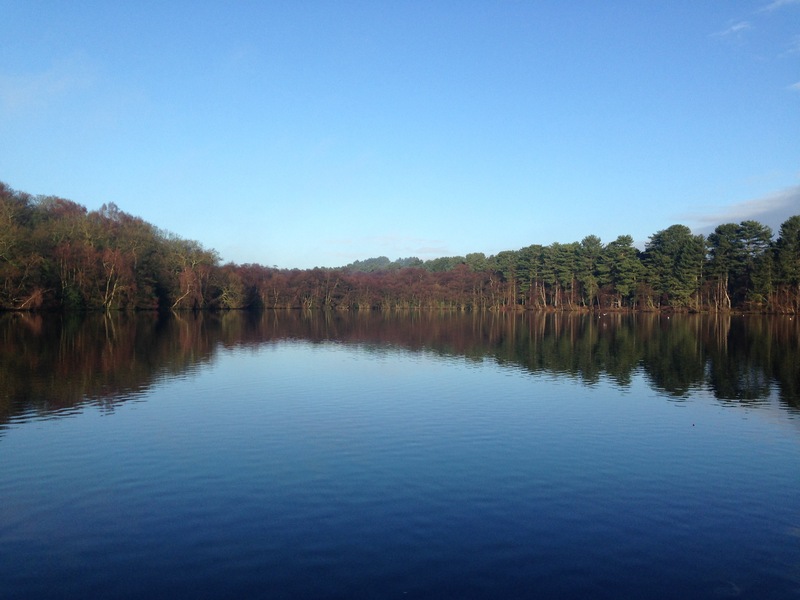 The lake is actually quite beautiful but as I was to find, quite a busy place on a Boxing day morning. I fished from the dam end wall where just one other angler was fishing for carp and pike. The morning was very foggy but by the time I had arrived it was lifting which was a shame as the sun soon followed making my chance of a pike a little less likely. Behind my swim was the concrete footprint of the old changing rooms that would have accommodated the brave swimmers that took the cold Boxing day water in the past. With just a few hours to fish esox did not pay a visit but it was worth the effort to get out in the crisp still air. Non-anglers probably don’t realise that certain months of the year are affiliated with some species of fish. October has the pike and the first day of the month is the start of the traditional pike fishing season. In truth this is something that fisherman have invented over time as a pike needs to feed all year round, but as the water temperature drops in autumn the pike will feed more often and the chance of large fat esox is more likely…one hopes. 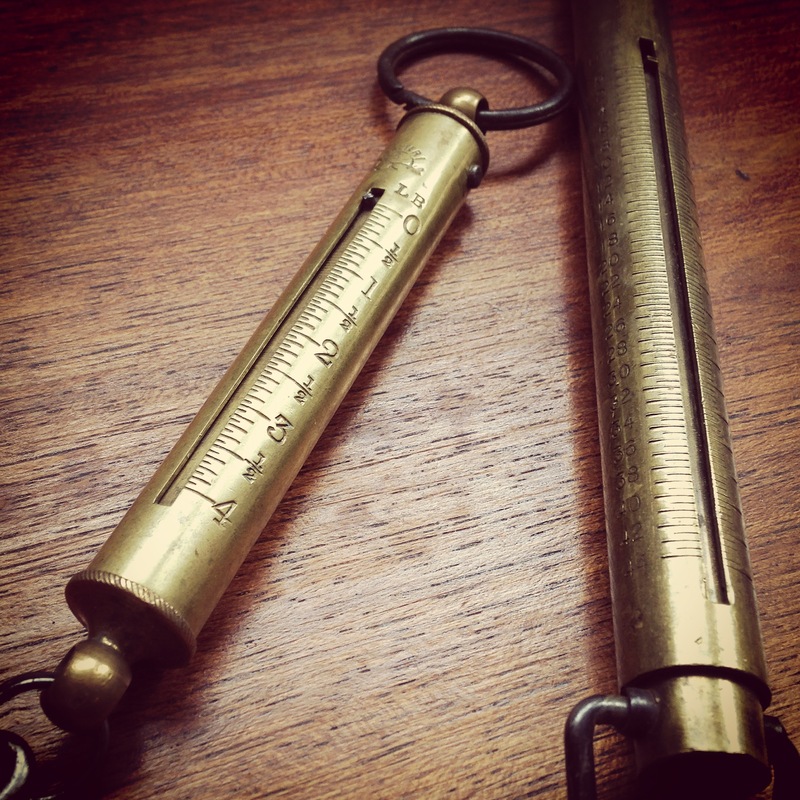 The modern traditionalist – the artisan float maker. With little success on the bank at present despite a few trips out, The Traditional Fisherman’s Forum has become a winter refuge for me, and for many of its forum members it has become a gathering place for traditional float makers. I’m not sure if staring at a float while waiting for its disappearance draws the eye of the beholder to find beauty in such an object? 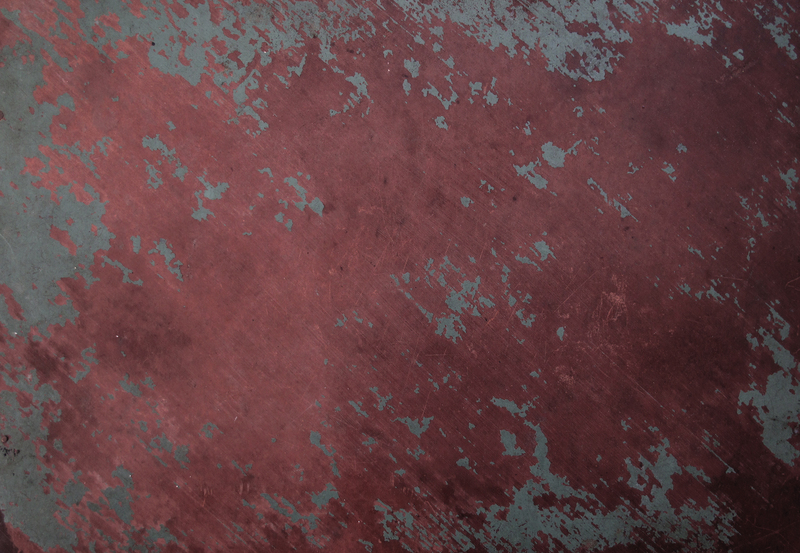 Just like a salmon fly the colour combinations and use of materials is close to art and the artist. Yesterday, a parcel arrived from one of the artisan float makers from the aforementioned Traditional Fisherman’s Forum. 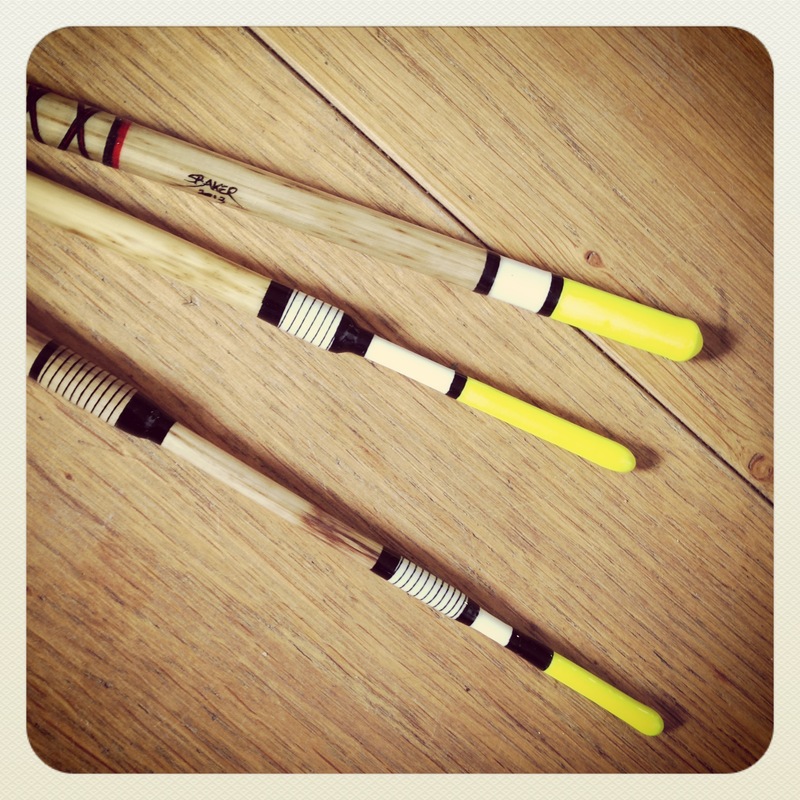 Stuart AKA ‘Fatfishfloats’ had sent me three exquisite Norfolk reed wagglers which I originally spied on the forum and commissioned Stuart to make three variations with yellow tops. The results just like Paul Cook’s floats are things of beauty, works of art that shall be launched into the British countryside, with much care! Anyone who appreciates traditional floats should look at Stuarts website or The Traditional Fisherman’s Forum and see what talented floats builders are doing with new and creative uses of colour and materials but keeping the traditional float building ethos. A package arrived the other day in an eight inch length of plastic tubing, I knew what it was but I was quite taken by surprise by the exquisite fishing floats that were carefully packaged inside. 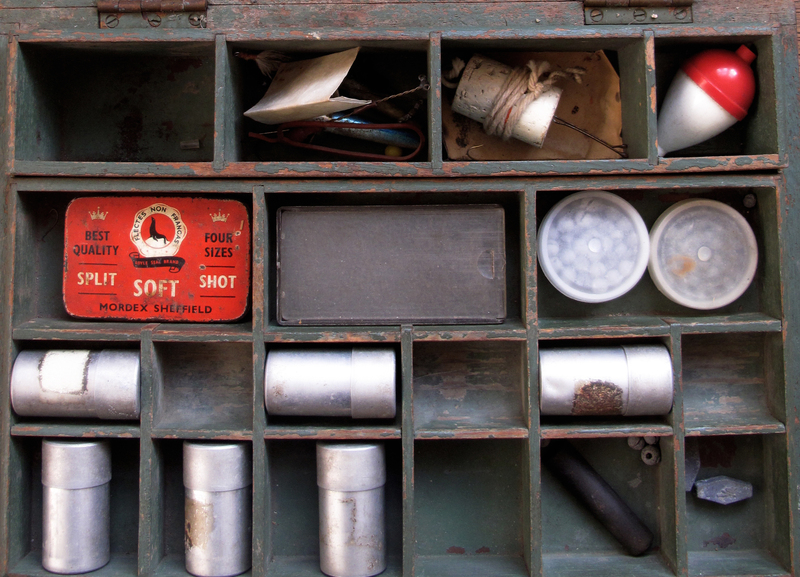 Within the tube was a rolled up note from artist, writer, rod restorer, angler and all round gentleman, Paul Cook. I met Paul a few years ago, at his house to pick up my rather sorry Allcocks Carp Superb rod which needed a new top and some general tender loving care, the result was stunning, and still is after three years of abuse. To say Paul is a restorer of rods or maker of fishing floats would be like saying Michelangelo is a decorator of churches, Paul is an artist, his floats are true works of art. 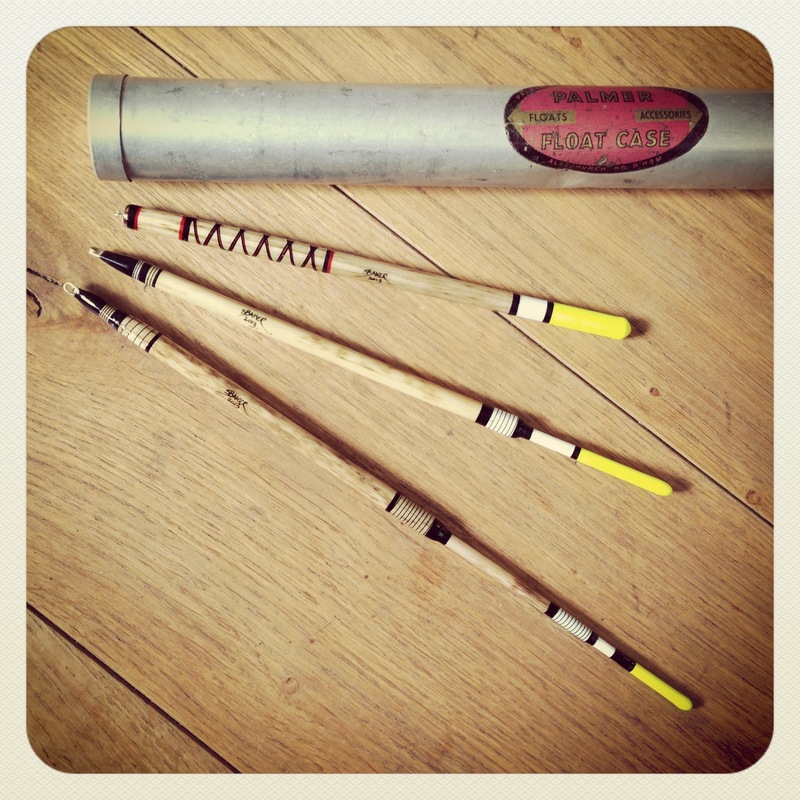 The four floats that arrived yesterday were simply stunning and even a non-angler would appreciate their beauty, a careful mix of feather, wood and coloured thread, all with an inscription ‘The tuesday swim.’ The question is, shall I cast these floats (often quite badly) into a weedy pond or a snaggy river? The answer is “yes” they have to be enjoyed in the field. In Paul’s covering note he talks of an extra float, in his words states “Its a copy from an original Victorian float that I have overdressed for the occasion!” Bloody brilliant! Mr Cook, the tuesday swim salutes you. Thank you. 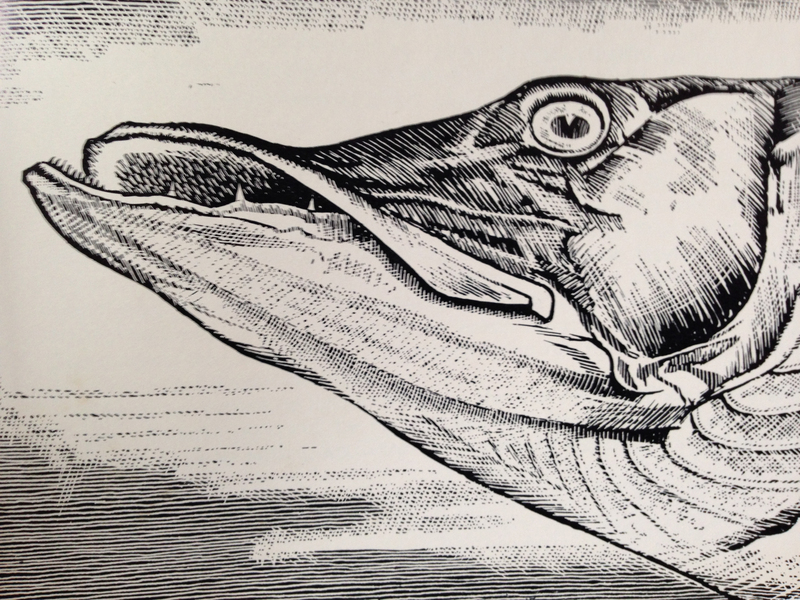 Fennel’s Journals…Wild or ‘Feral’ Carp edition. My father fished mainly for black bream off the Sussex coast in the 1940’s and 50’s from his boat ‘Vulture’. I always thought the boat was more of an excuse for my father to hang out on the beach and watch young ladies pass by rather than a serious fishing vessel. In more extreme summer showers (just like this year) Vulture could accommodate a canvas pup tent, where upon pipe smoking and general tackle sorting would take place amongst friends. I now own that pup tent and have used it for many camping trips and was my prime over night fishing shelter for my carp fishing obsession as a teen in the eighties. The old sea tackle was sadly disposed of a few years ago in the local dump, (when I found out I went bloody mad) an old army haversack bag containing wooden line winders, floats, two Penn multipliers, three boat rods, a wooden centre pin and some old round pipe tobacco tins with hooks and lead weight, nothing of any great value but it was something that I wanted to keep. Now it has been thrown out in one of my fathers clear outs, hoarder he is not! Last year I was pointed in the direct of quite an interesting fellow, Nigel ‘Fennel’ Hudson at the Priory and his new website. Nigel or ‘Fennel’ had started writing at an early age under the encouragement from Chris Yates and over the years has created a quarterly publication that are now available to buy online. 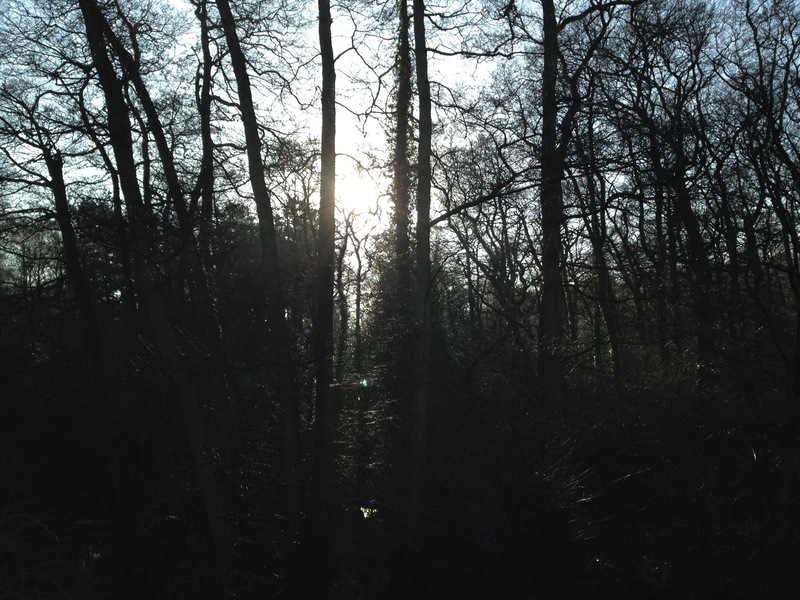 While looking at Fennels website and the images a haunting word kept coming back to me in my father’s voice ‘looks a bit twee to me.’ I was a little put off. When written well, traditional angling writing by the likes of BB, for example is the type of literature that I can read again and again but with ‘traditional’ angling becoming more popular there is a trend for copy cat style scribblings that at best is a poor reproduction and at worst annoying and at times quite cringe worthy. 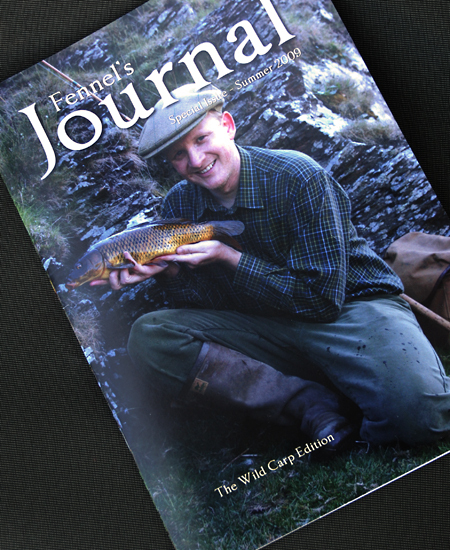 So with Fennels Journal I stayed off until now, just in case of disappointment but then I saw ‘The Wild Carp’ edition! Different day, different pub, proper one though, no bar just a tap room. You know when you get out of London for an afternoon’s chub fishing in the peace and tranquility of the Weald, then this turns up.